EAT! Food & Drink GRAND OPENING WEEKEND! Join us for our GRAND OPENING WEEKEND, April 12 – April 14! https://www.eatateat.com/wp-content/uploads/2018/12/eat-at-eat.png 0 0 Nancy Barlow https://www.eatateat.com/wp-content/uploads/2018/12/eat-at-eat.png Nancy Barlow2019-04-11 14:16:212019-04-11 14:16:21EAT! Food & Drink GRAND OPENING WEEKEND! Love his sausage? So do we! Get your @belfioreitaliansausage fix in Broomfield at EAT! Food & Drink when we open in April, 2019.
https://www.eatateat.com/wp-content/uploads/2019/04/54799063_280174799548907_2912113600510296064_o.jpg 1080 1080 Nancy Barlow https://www.eatateat.com/wp-content/uploads/2018/12/eat-at-eat.png Nancy Barlow2019-04-02 14:55:032019-04-02 14:55:03Belfiore Italian Sausage! A good “sign”! One step closer to opening! The excitement is building! Watch for our Grand Opening soon! https://www.eatateat.com/wp-content/uploads/2019/04/55602625_281444136088640_7712611754273931264_o.jpg 1080 1080 Nancy Barlow https://www.eatateat.com/wp-content/uploads/2018/12/eat-at-eat.png Nancy Barlow2019-04-02 14:51:052019-04-02 14:51:05A good “sign”! One step closer to opening! EAT! under the lights at EAT! Our interior is nearly ready for our opening! 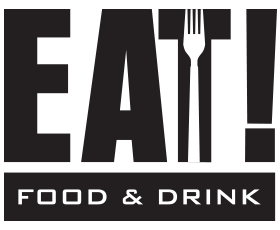 We’re excited for you to experience EAT! Food & Drink! https://www.eatateat.com/wp-content/uploads/2019/04/52779953_263798654519855_5941607879831191552_o.jpg 1041 1080 Nancy Barlow https://www.eatateat.com/wp-content/uploads/2018/12/eat-at-eat.png Nancy Barlow2019-04-02 14:49:342019-04-02 14:49:34EAT! under the lights at EAT!